I have a cell tower on my property for the past 6 years at $1,500 per month with an increase of 3% per year from T-Mobile. It has been working out well, but now I feel I am in shark infested waters. Unison has been relentless even though I have been being harassed with countless phone calls by the one salesperson. I have asked him to stop calling....so now I just don't answer (Thank God for caller ID). He even invited himself over and when I told him not to bother he still came over ( I know, I know...I should have called police). He is threatening me that my tower will go away unless Unison protects me with 135k for my lease. I have crunched numbers and talked with my lawyer who say the number is way too low. I have done extensive research on towers disappearing in this area, in this state, and then went nationwide.....NOTHING! MD7 is sending threatening letters and went so far as to contact my attorney who told them where to go....but the letters keep coming. T-Mobile is doing some underground cables on my property (with my consent and knowledge due to an unreasonable neighbor). Why would they go through all the expense of putting underground cables to terminate?....it doesn't make sense. I was told more permits are needed to remove a tower and are more expensive to have the tower removed than to put it up. It would take more money than they are paying me to remove everything including the slabs that run several feet below the site. Even if I consented to Unison or MD7 ( which I won't), wouldn't it cost more to remove the tower to consolidate to another tower? Should I be worried about the tower going away? I am in a popular and heavily populated area and my gut says to ignore them all. What do I do to get rid of them? Editor's Note: Somebody needs their medical marijuana prescription refilled? The reason that you are getting calls about reducing the rent is because you are getting a good rent for a ground lease. I have been leasing land for cell towers for 16 years as a contractor for the big 4 and only once have I paid more than $1500 per month. And, with all due respects to your attorney, attorney always claim to know more about the so called "market" for cell towers than they know. There is no market for cell tower leases. Deb, remember, real cell tower infrastructure experts don't drive Mercedes' they drive 4x4's. Deb, a few years ago it would have been enough to tell these firms to go pound salt. But that is no longer the case. You are correct in that they are relentless and persistent. Take mold and mildew for instance. You can wipe it off but it keeps coming back unless you treat it properly with bleach. 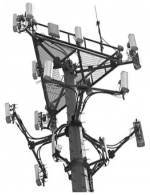 Your feelings about the cell towers not being decommissioned in your area may be correct but you should really take the next step in having an independent wireless expert provide you with the data you need regarding your specific tower location so you can protect the value of your cell site leases. 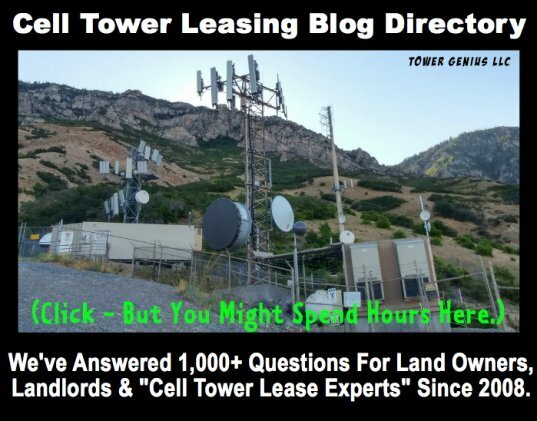 Tower Genius provides wireless landlords with a comprehensive analysis of their cellular site that will leave the wireless wiseguys who keep calling you, scratching their heads. We also take it a step further with our clients and engage these "Lease Optimization" firms and make the calls stop. Thank you for some direction in the area of buyout. I like the way things are structured in the agreement and I have complete control. I am not interested in the offer or any offer for buyout. 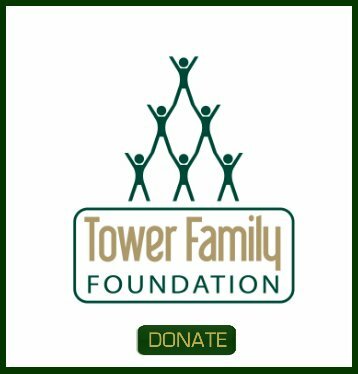 I feel towers are not being decommissioned in this area as I have been looking around and researching and do not see towers coming down....at least at this time. Unison relentlessly tells me that "if I do not give into them, they will go down the street and buyout my neighbors tower which means my tower will come down for sure and t-mobile will be put on my neighbors existing tower." MD7 is making the same threat via letters. If I sell the rights, I will have to sell my properties in 3 years instead of 8. I think when cell towers come looking for space they should have a warning that buyout companies are out there waiting to prey on the unsuspecting!! NO ONE would be offering you $135K for your site if they really thought it was going away. The only people who would consider buying your site lease do believe that the site will remain for a long time. That's why if you have a Nextel (Sprint) site, they will offer you less money (or no money) than if you have a Verizon site. Sites are not going 1/4 mile down the road. There are a few good reasons. Getting permits to build site nationwide is getting more and more difficult. Protests at city planning hearings are becoming commonplace to block the construction of new towers. Some cities (like Hempstead, NY) have recently enacting zoning restrictions that limit the development of new towers in 95% of the city's land area. And, cellular carriers are struggling to keep up with the demand for new tower coverage and new bandwidth. You can bet that they are not wasting their time rebuilding stable, productive cell towers. Is there a chance your tower will go away? Certainly, but it's not likely. Sell your tower lease for financial (not fear) reasons. Deb, I can't blame the guy from Unison for trying but sounds like it is borderline annoying but probably not harassment. Unison is a reputable and established cell tower lease buyout and management firm, albeit their aggressive sales force and marketing blitzes can be a turn-off for some tower landlords. Fortunately, if you really need to sell your tower lease and are still considering a buyout after all this, we can help. But first things first, you need to sort out the T-Mobile and Md7 problem before you do anything. Three or four years ago I would have told you to tell them to pound salt and send them a love letter. However in this economy things have changed, and tower companies will literally low-ball other landlords at alternate sites to see if they can save money over the long term by decommissioning your cell tower and moving it a quarter mile down the road. We can help you to analyze the risk and then hopefully resolve the rent reduction threats for good. Please call us tomorrow at Tower Genius 888-313-9750. Thanks! Deb, we feel your pain and frustration. We will talk to you tomorrow to see how we can help you fix the situation. Relax and have a soothing cup of chamomile tea, that usually works. Join in and write your own page! It's easy to do. How? Simply click here to return to Cell Tower Leasing Discussion.